Huawei announced today that its official Android application store, Huawei AppGallery, now supports direct carrier billing with DiGi, Maxis, and U Mobile to offer subscribers of the telco companies to purchase digital content with ease. 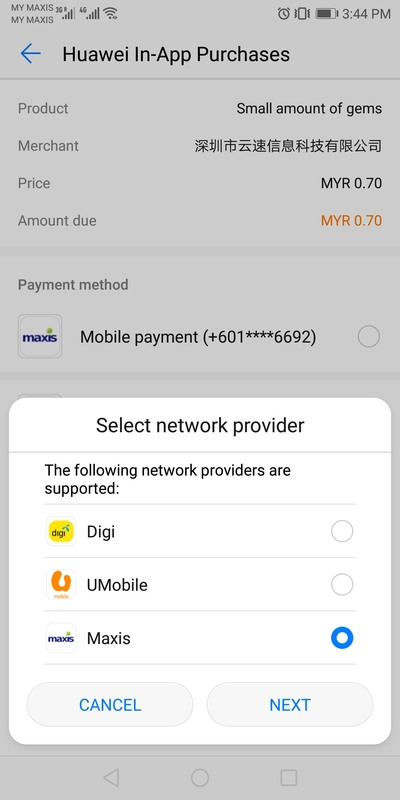 The service is not available to mobile subscribers of Celcom Axiata. The Huawei AppGallery app store was made available in April 2018 and is available on Huawei and Honor smartphones. From now onwards, Huawei said its smartphone users can experience smooth, quick and convenient payment process on Huawei AppGallery by enabling DiGi, Hotlink, Maxis, and U Mobile users with direct carrier billing to purchase a wide range of in-app products such as games and customized themes through their prepaid accounts and pay through their monthly phone bill. 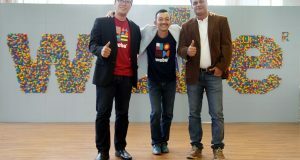 The company said the payment integration provides telco companies and app merchants an all-in-one mobile ecosystem that is seamless and secure for Huawei smartphone users. The direct carrier billing service aims to enhance customer experience and empower users with more control of their spending habits on apps. Huawei smartphone users can also enjoy rewards using the easy payment method. With any in-app purchases of games on AppGallery Carnival Collection or any themes of Carnival Themes collection on Huawei Themes App, Huawei smartphone users can enjoy rewards, discounts and offers from Lazada, Starbucks and many more, it claims.